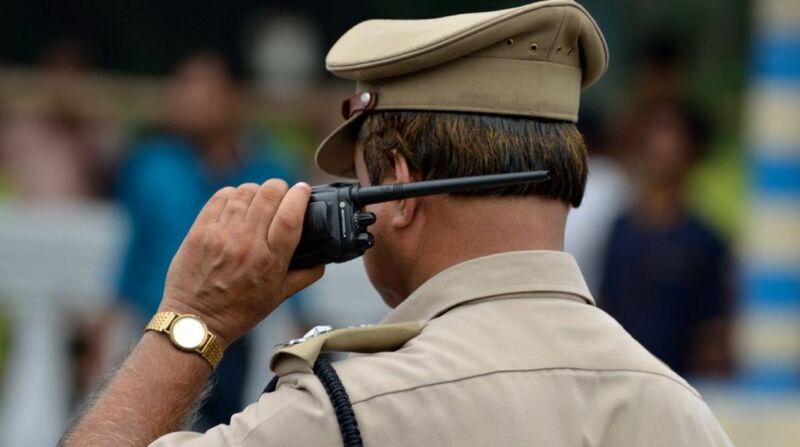 Two top leaders of the Hindu Mahasabha were booked by the police on Tuesday for trying to spread communal tensions through the formation of Hindu Nyay Peeth along the lines of Shariat Adalat. Sub Inspector Sripal Singh registered a case in Brahmpuri police station against Ashok Sharma, the national vice president of Hindu Mahasabha and district president Abhishek Agarwal under sections 153A, 502, 502(1)c and 188 of the IPC. The Mahasabha was supposed to declare the bylaws of the Nyay Peeth on 2 October. The Hindu organisation has already appointed Aligarh’s Dr Puja Shakun Pandey as the first ‘Chief Justice’ of the Nyay Peeth. Calling it a contempt of court, Ashok Sharma said that the case against the formation of the Nyay Peeth is already being heard in the Allahabad High Court with the next hearing scheduled for 17 September. Sharma said that Mahasabha had sent a letter to the Union Government on 12 July demanding that either the Sharia courts are outlawed or the Hindu Nyay Peeth should be allowed to be constituted by 15 August. “Since we did not get any response we announced our decision to constitute the Peeth,” said Sharma, adding that the ‘court’ will help settle minor cases of Hindus. He said that the Nyay Peeths will be formed at district level across the country. “We are not spreading any hatred; we just want to develop a system for justice,” Sharma said while adding that the Shahar Kazi of Meerut had also supported the Hindu Mahasabha’s decision.